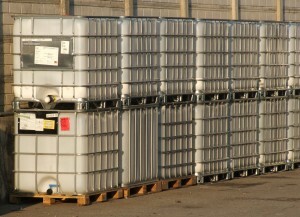 Freeze Prevention – Millions of IBC Totes are found in warehouses, freight cars, loading docks, and trailer beds. While transporting them may be relatively easy, keeping their contents from freezing is far from a walk in the park. 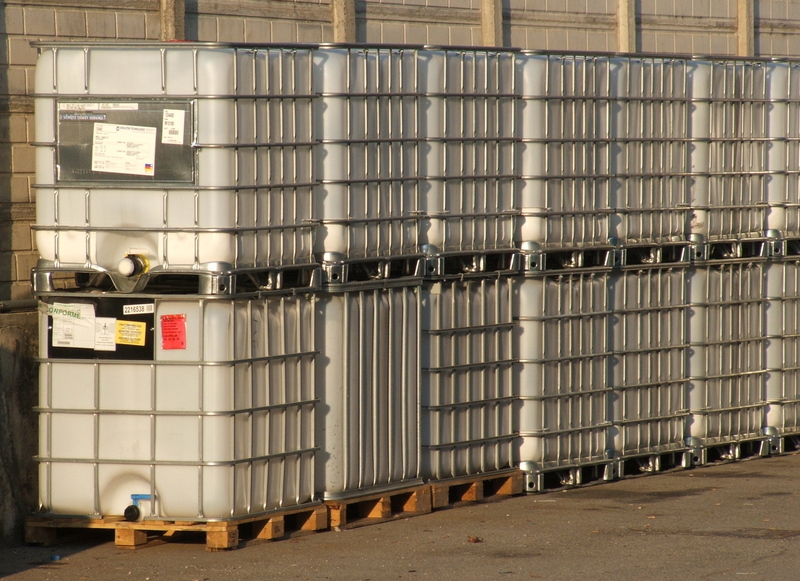 Millions of dollars annually are lost due to spoiled/frozen IBC products including food, dairy, chemicals, polyurethane, petroleum, and other temperature sensitive materials. 1. What are the external ambient temperatures working against you? Wind? Rain? Humidity? 2. What is the material you are trying to heat? 3. Are you trying to increase or maintain temperature? 4. 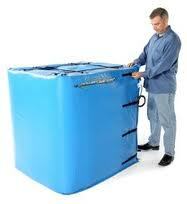 Will you be transporting the IBC Totes? 5. Will the Totes be exposed to snow and ice? Then there are other factors to consider like viscosity, price, and the list goes on and on. 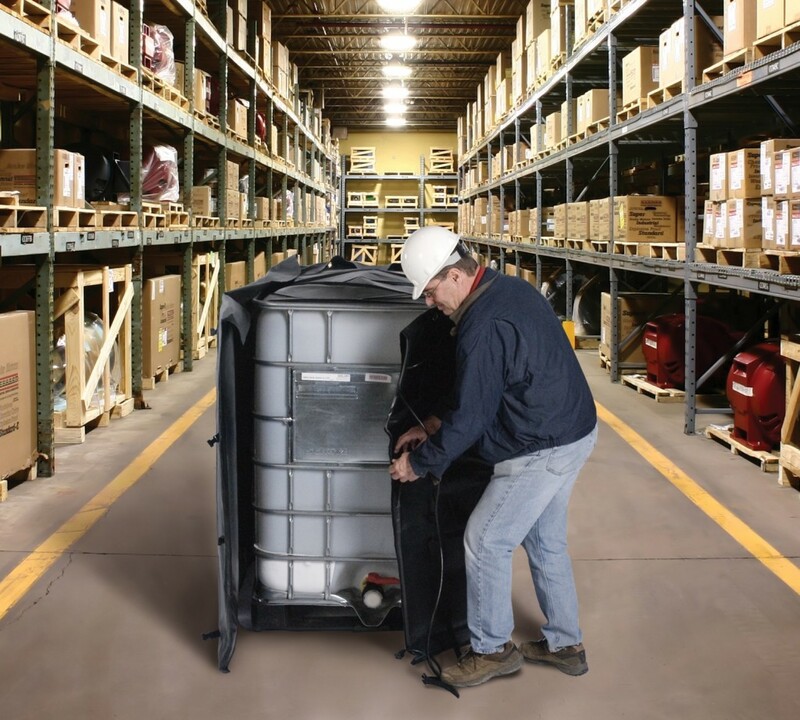 Generally speaking we recommend two types of devices for heating tote materials although they are very different in application. The first is an immersion heater. Immersion heaters have been used for decades to heat liquids inside drums, buckets, totes, and tanks. Although immersion heaters do heat up quickly, there is a tendency for them to burn product and corrode quickly… both factors you want to avoid when dealing with expensive compounds. 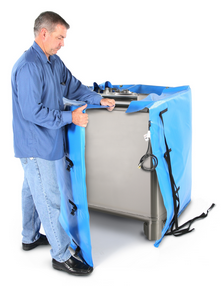 The second is an insulated jacket or electric blanket that wraps around the plastic or metal tote, offering a barrier of warmth and insulation to an otherwise very exposed surface. The most reliable and efficient tote blanket heaters we observed are manufactured by either Powerblanket , ProMAX or Brisk-Heat. On the surface they look very similar, but the Powerblanket offers great bang for the buck with their patented Heat Spreading Technology and UL / CSA classification. The Powerblanket model also includes the removable top cover, which BriskHeat charges $295 as an upgrade. You’ll save approximately $400 to $500 with a Powerblanket.